Brian Hallisay is an American actor who is best for his portrayals of Will Davis in the CW drama series Privileged and Ben Hunter in the ABC drama series Revenge. He had recurring roles in the Lifetime drama series The Client List as Kyle Parks and began playing Jason Bailey/Doug Kendall on Fox procedural dram series, 9-1-1. Brian Hallisay was born on the 31st of October 1978, in Washington, District of Columbia, United States of America. Unfortunately, not much is known about his family background like his parent’s names or his siblings. He did not reveal any details about his family. He attended Gonzaga College High School from where he graduated in 1996. He then graduated from Cornell University, Ithaca, New York in 2000. Brian Hallisay married his “The Client List” co-star Jennifer Love Hewitt in 2013. They first met on the sets of Lifetime series, The Client List, in which the duo played as husband and wife. Hewitt was pregnant with a child of Hallisay at the time of their marriage. They welcomed their first daughter named Autumn James Hallisay on November 13th, 2013. She gave birth to their second child, a boy named Atticus James Hallisay on June 24, 2015, in Los Angeles, California. 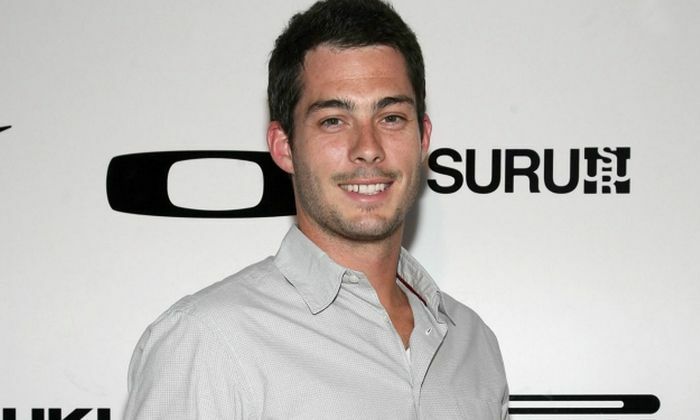 Brian Hallisay made his onscreen debut as Hayden Field in Erik MacArthur’s romantic comedy film called “Bottoms Up” in 2006. The film was released as direct-to-dvd format which had actors Paris Hilton and Jason Mewe starring in the lead roles. His first big screen appearance came with a supernatural horror film, Jessabelle, in 2014, in which he played the character of Mark. Hallisay earned his first acting credits on the small screen in 2005, playing Jake Carrington in an episode on Fox’s The Inside, with Rachel Nichols and Adam Baldwin. Brian Hallisay earned critical acclaim for his starring roles as a wealthy and charming bachelor “Will Davis” in The CW’s Privileged (2008) and playing Kyle Parks in the television series, The Client List (2012), starring Jennifer Love Hewitt, where he played her ex-husband. Throughout his acting career, Hallisay has managed to accumulate over $2 million dollars. After graduating from college, he worked on Wall Street before becoming an actor. He left his job and moved to Los Angeles in pursuit of his dream to become an actor. Hallisay loves to hang out near the ocean during his free time. He is the brother-in-law of Todd Hewitt. Since 2018, Hallisay plays a recurring role on 9-1-1 as Doug Kendall alias Jason Bailey, the abusive husband of Maddie Buckley, a character played by his real-life wife, Jennifer Love Hewitt.